If you are embarrassed by a crooked smile or misaligned teeth, orthodontic care can greatly improve the way you look and feel. Today’s orthodontic treatments give patients more control over their desired aesthetic outcome without compromising their oral health. Dr. Robert Milner offers several orthodontic treatments and would gladly discuss your options with you. To learn how orthodontic care can help restore your willingness to smile, schedule an appointment with our Mission Viejo office by calling 949-859-8899. Braces consist of brackets that are affixed to teeth and wires that are threaded through slots in the brackets. Dr. Milner offers both traditional metal braces, the standard for straightening teeth; and ceramic braces, tooth-colored brackets that blend into the color of your teeth, making them nearly invisible. Braces are worn 24/7 and are typically worn for one to two years, depending on each patient’s dental needs. Aligners are clear, thin, plastic-like trays that are custom-made to fit your teeth. Each aligner is worn for two to three weeks, and moves teeth a fraction of a millimeter at a time. Aligners are removable and the patient will need to remove them during meals and brushing and flossing. The number of aligners needed to correct misaligned teeth varies based on the individual’s orthodontic problem and its correction. During your consultation, we will also review your dental records and take your preferences into consideration. 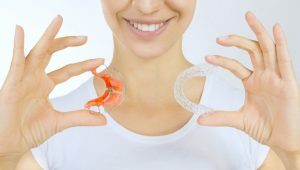 For instance, if you require extensive correction to your bite, traditional braces may be best for you instead of aligners. If you are concerned about the appearance of metal braces in your mouth, you may opt for clear aligners or tooth-colored braces. The duration of your orthodontic treatment will depend on how much correction is needed. 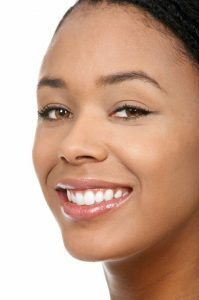 Why Wait for a Straighter Smile? The sooner you schedule an orthodontic appointment with us, the sooner you can achieve the flawless, straight smile you have always dreamed of. Dr. Milner is proud to offer only the most advanced orthodontic treatments so you no longer have to hide your smile. Schedule an appointment with us by calling our Mission Viejo office at 949-859-8899.